Secular homeschool curriculum seems nearly impossible to find. In fact, it’s something that myself and a few friends have been looking for diligently. Why is it even something we are concerned about? Well, not everyone chooses to homeschool for religious reasons. In fact, many of us prefer to keep theology and doctrine out of education. While we love teaching our children to be educated about world religions, we do not like the often narrow-minded views presented in typically religious affiliated educational materials. 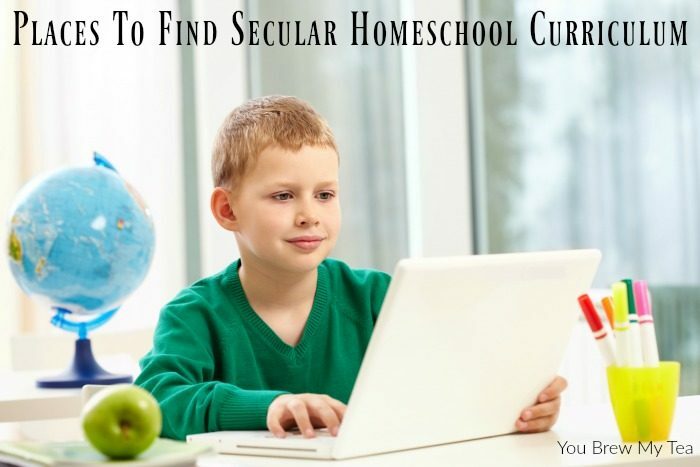 The solution in a homeschool situation is to locate the best secular homeschool curriculum out there. 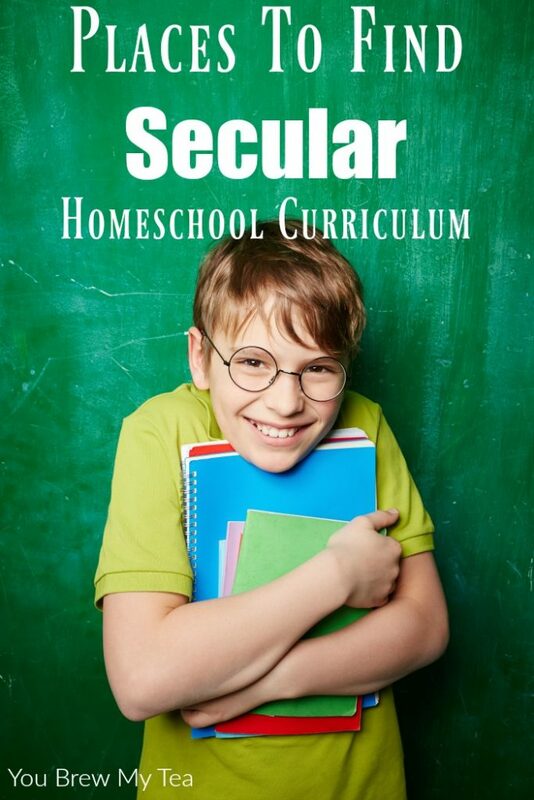 As I have worked with the Wee Child over the last few years, I have found it is really hard to find free or cheap secular homeschool curriculum. So, I have compiled a list of my favorite options for creating and building, as well as purchasing, homeschool curriculum that is education-focused and lacking in religious teachings. ABC Mouse. This is a super easy and fun program that is entirely online and ideal for younger learners. Preschool to 3rd-grade students can use this program for review and easy visual learning. It is a great inexpensive tool to supplement your curriculum. All About Learning. This curriculum focuses on spelling and reading. It’s primarily a secular homeschool curriculum and is affordable for most homeschool classrooms. Easy lessons for multiple grade levels make it a favorite for many homeschoolers. Timberdoodle. Their kits are available as secular homeschool curriculum that is an all-inclusive kit for all subjects. This is a great all-in-one curriculum that many families prefer. It’s especially handy for the parent that isn’t comfortable coming up with their own lesson plans. Time 4 Learning. This website offers a ton of great resources and secular homeschool curriculum options. It’s ideal for the parent that wants some hands-off education for their kids to work through online. There are reviews, full curriculum, and other options that make it functional to purchase everything offered or just what is needed at that time. Ron Paul Curriculum. This one is a bit controversial since it has more Libertarian leanings, but it is indeed not affiliated with a religious denomination. It has a lot of great resources and is popular in many secular homeschool groups. Government Websites: I often utilize websites that are run by the state and federal government for factual information. Things like the National Park Service, local government websites for political or state education, and even sites like the IRS for various education in regards to money and finance are all great secular homeschool curriculum resources. Local school district. Each district and state is different in regards to their allowances for homeschooled children. Many, however, offer a complete secular homeschool curriculum that is identical to their public school students. If you cannot find information online, don’t hesitate to grab the phone and talk to your local school district office. When in doubt, contact the state board of education or homeschool department liaison for your state or region. Khan Academy. For the best math curriculum, Kahn Academy has been a standard for many years. I love that it is strictly math based and isn’t including religious studies. It is above the standard of many districts in our home state and has given the Wee Child a great mathematics education. World History For Us All. This curriculum is ideal for middle school and high school students. As a product of San Diego State University, it is a secular homeschool curriculum that is also used in many classrooms of public and private schools. While this list of secular homeschool curriculum is not a complete list of everything available, these are all products and brands that we have personally used in our homeschool adventures. Focusing on education in the classroom and religious studies as a family project is something I feel is important.